Osama Jalali is quite a name when it comes to Indian food critics. 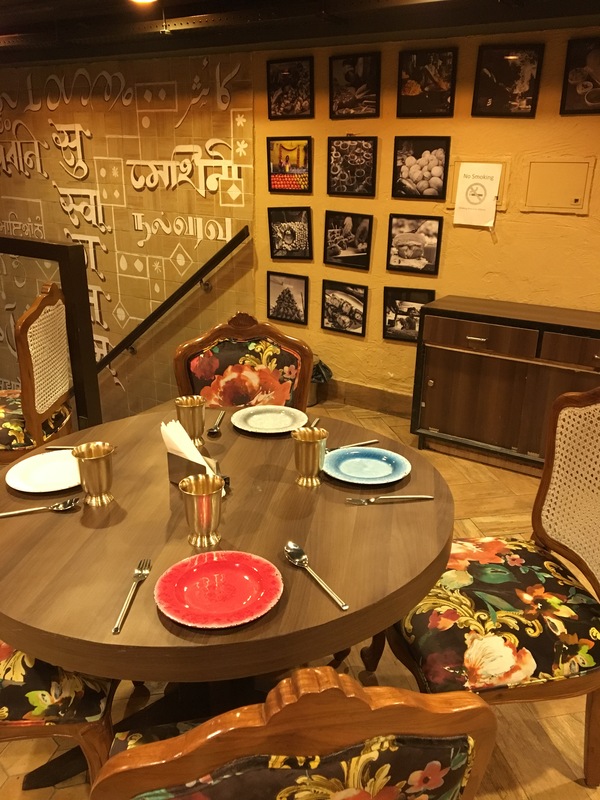 Recently we got to visit the Masala Trail by Osama Jalali and we have all good things to say about them. Masala Trail is one stop solution for all your Indian food cravings. Be it the Mumbai famous Pav bhaji or Delhi’s favorite chole bhature, Masala Trail is winning hearts in the heart of the capital. With neat interiors and a proper luxury dinning, Masala trail promises its people good food and good times. On our recent visit to the Masala Trail, we were left mesmerized with innovative display of food, nostalgic with their Gujrati Panki and spellbound with their Haji Ali. The meal began with the Banaras famous “Tamatar Chat” which is a specialty made by succulent tomatoes and roasted spices. It was our first experience and we loved the sweet and sour taste of tomatoes. Next we were treated with everyone’s favorite, Chole Bhature. The dish was well presented and it tasted even better. We accompanied our food with Modinagar Shikanji and Kesaria Lassi, which proved to be the best accomplishments to be served. Our favorite was the winter favorite, Makke di Roti and Sarso ka Saag. Perfectly blended Sarso ka Saag served along with Makke di roti, promising to be a fulfilling meal for the Delhi winters. We ended our meals on a sweet note, having their specialty dessert Haji Ali. It is indeed a must have dessert at the Masala Trail. With the perfect amount of sweetness and flavors.